Leandro Erlich, born 1973, lives and works in Buenos Aires and Montevideo. Between 1998 and 1999 he took part in the Core Program, an artist-in-residence program in Houston, Texas, U.S. Then he moved to New York and made his first exhibition in a commercial New York gallery. In the year 2000, he participated in the Whitney Biennale and represented Argentina in the 49th Venice Biennale (2001). He lived and worked in Paris for a few years, then came back to Buenos Aires. He has participated in many collective exhibitions and art biennales, such as the 1st Mercosur Biennale (1997), the 7th Havana Biennale (2000), the 7th Istanbul Biennale (2001), the 3rd Shanghai Biennale (2002), the 1st Busan Biennale, Korea (2002), the 26th Sao Paulo Biennale (2004), la Nuit Blanche de Paris (2004), the 51st Venice Biennale (2005), the Echigo-Tsumari Art Triennial, Japan (2006), Palais de Tokyo, Paris (2006), Liverpool Biennial (2008), Singapore Biennial (2008), Museo Nacional Centro de Arte Reina Sofía, Spain (2008), Fundación PROA, Buenos Aires (2009, 2013), Galleria Continua Le Moulin (2011), Centre Georges Pompidou, Paris (2011), Centquatre, Paris (2011), MOT, Tokyo (2013), Shanghai Art Festival (2013), Montevideo 2nd Biennial, Urugay (2014), OCA, Brazil (2015), Maison Rouge, Paris (2015), XIII Bienal de Cuenca (2016), Bienal Sur, Buenos Aires (2017), Spiral Garden, Tokyo (2017) etc. He made individual exhibitions in: El Museo del Barrio, New York (2001), Santa Monica Art Center, Barcelona (2003), MACRO Museum of Contemporary Art of Rome (2006), Centre D’art Saint Nazaire, France (2005), Albion Gallery, London (2005), P.S.1 MoMA, NY (2008), Galleria Continua, San Gimignano, Italy (2008), Galería Luciana Brito, Sao Paulo (2009), MOLAA, Long Beach (2010), Sean Kelly gallery, NY (2011), Galería Ruth Benzacar, Buenos Aires (2007, 2012), Galería Nogueras-Blanchard (2013), Barbican Center, London (2013), 21st Century Museum of Contemporary Art, Kanazawa, Japan (2014), MMCA, Seoul, Korea (2014), MALBA, Buenos Aires (2015), ZKM, Germany (2015); Museo Espacio Chandon arteBA 2016 (2016), MUNTREF, Buenos Aires, Argentina (2016); Neuberger Museum of Art, New York, USA (2017); Fundación Telefónica, Madrid, España (2017); Mori Art Museum, Tokyo, Japan (2017), HOW Art Musem, Shanghai, China (2018). His works are in private and public collections. The public collections include the Museum of Modern Art, Buenos Aires; The Museum of Fine Arts, Houston; Tate Modern, London; Musée National d’Art Moderne, Centre Georges Pompidou, Paris; 21st Century Museum of Art Kanazawa, Japan; MACRO, Rome; The Jerusalem Museum; FNAC, France; Ville de Paris et SCNF, Gare du Nord, France; etc. 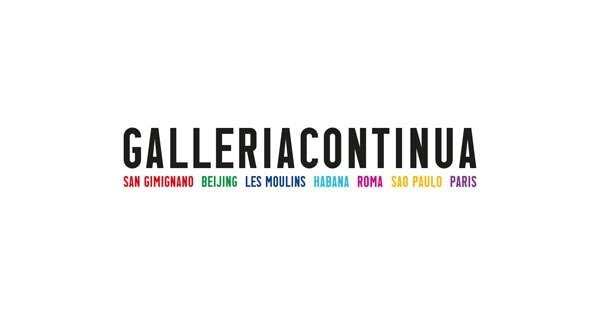 GALLERIA CONTINUA, le CENTQUATRE, Paris, France – Follia Continua! GALLERIA CONTINUA, La Habana, Cuba - Follia Continua!